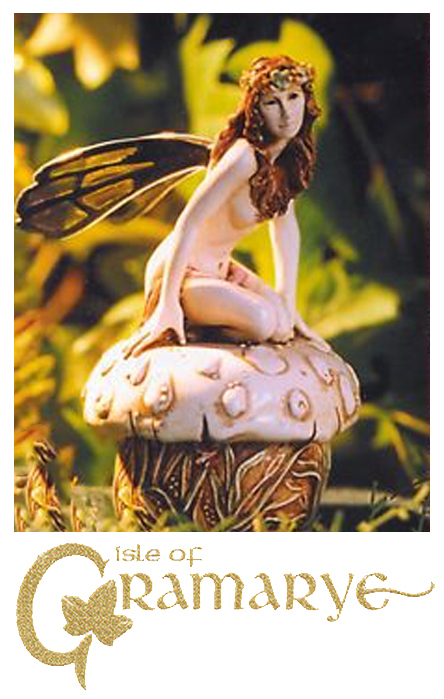 Isle of Gramarye Figurines of the Original Magical Isle. Featuring the reveries of Fairy Children, Faeries of the Hidden Treasures, Mermaids of the Silver Shore, Avalon Inheritance, Celestial Sequence, Sendings, Echoes Of Magic, and Guardians of the Isle of Gramarye by Artist Robert Glover. The keepsake boxes and figurines of the Isle of Gramarye collections are and always have been individually hand made and hand painted entirely in England. 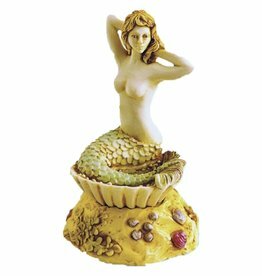 Each piece is finely sculpted from a mixture of resin and crushed marble. The fairies delicate wings are fashioned from English Pewter and expertly enameled with rainbows of transparent colors. 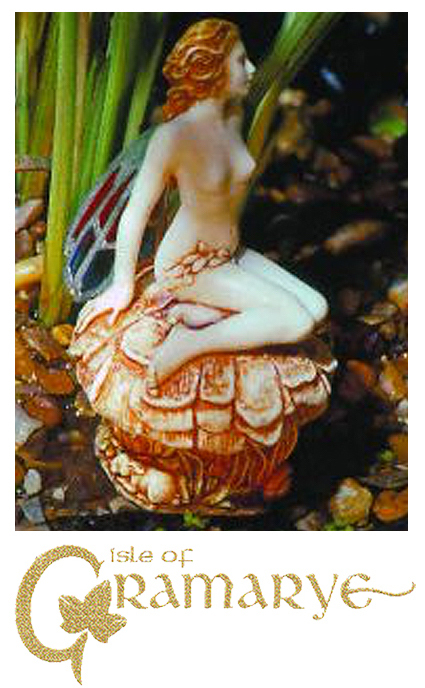 The Isle of Gramarye Magical Treasures to Collect and Enjoy. By Artist Robert Glover.